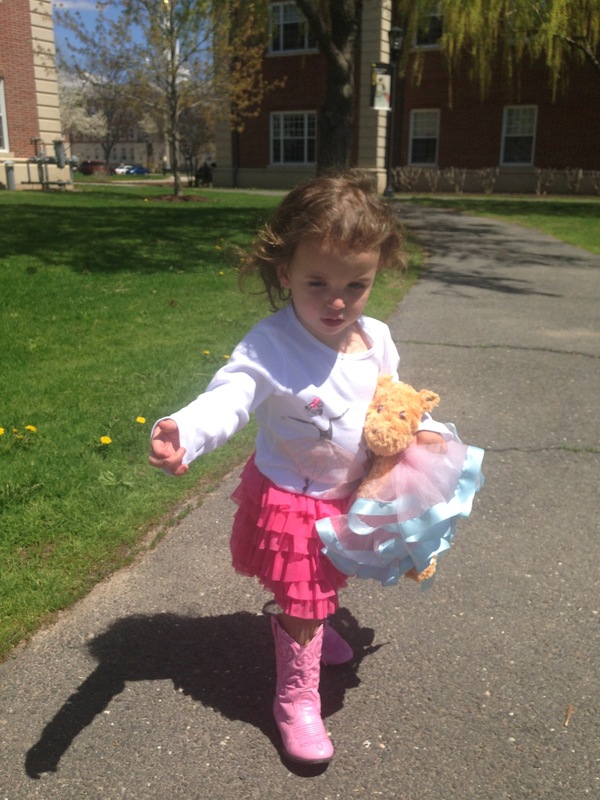 When skies are gloomy and clouds are grey – a two year old will brighten your day! So goes the saying (which I clearly just engendered) but it’s quite true. No matter what else is going on in my world, Penelope is the best and brightest thing in it. And we have had some wonderful mommy/daughter dates over the past couple of weeks. 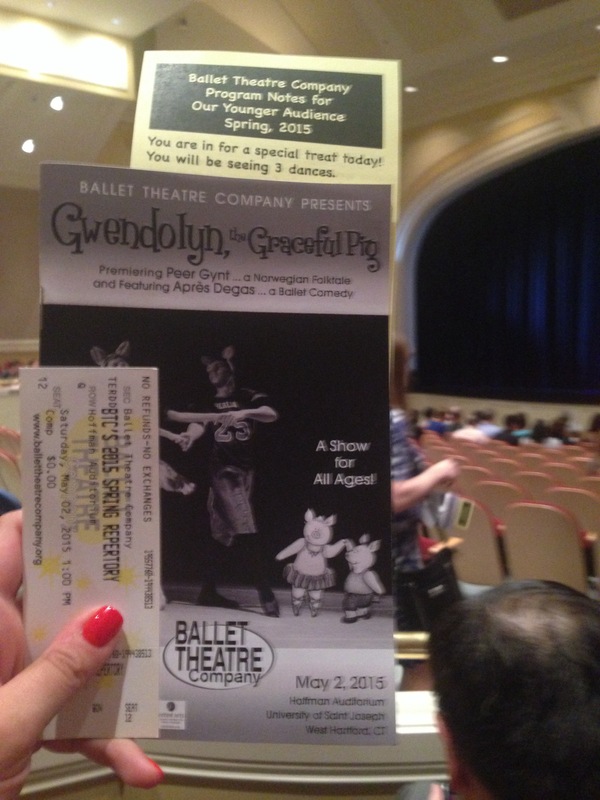 Seeing Gwendolyn and the Graceful Pig as part of the Ballet Theater Company’s Spring Repertory Performance! Thank you Roman for the tickets! 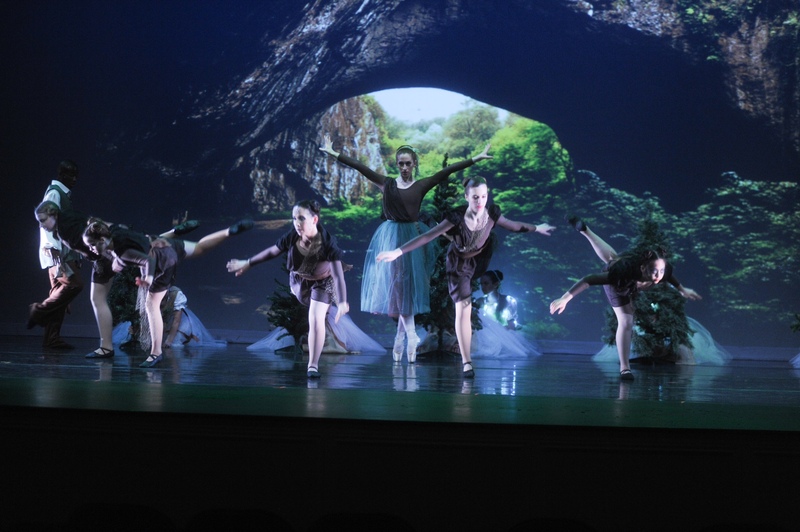 Leading up to the main act was Peer Gynt, a darkly humorous Norwegian piece exploring the woodland fantasies of the titular character. Alas, we didn’t find out if Gwendolyn learned to dance or not, as P’s tiny attention span ran out. So we shall have to buy and read the book and, of course, attend next year, when she is just a little older and less wiggly! Can’t wait to start P in ballet classes also, she is very into it and the Ballet Theater Company is very conveniently close by our house, with lots of summer programs to offer. Fun times ahead. In addition to fun at the ballet, P also had her first hair cut! 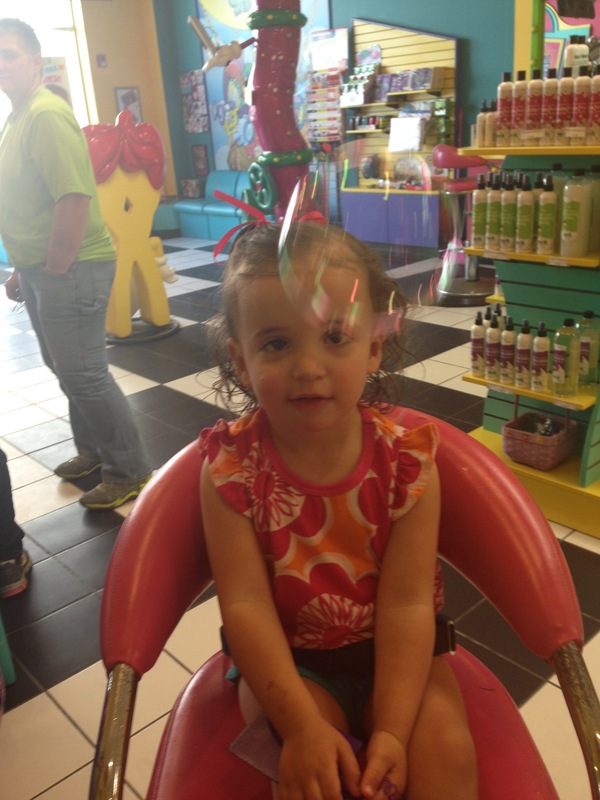 We went to Snip-its in Canton and they did a wonderful job – complete with bubbles and a prize at the end. Not a traumatizing experience for anyone (except, perhaps, Mommy). 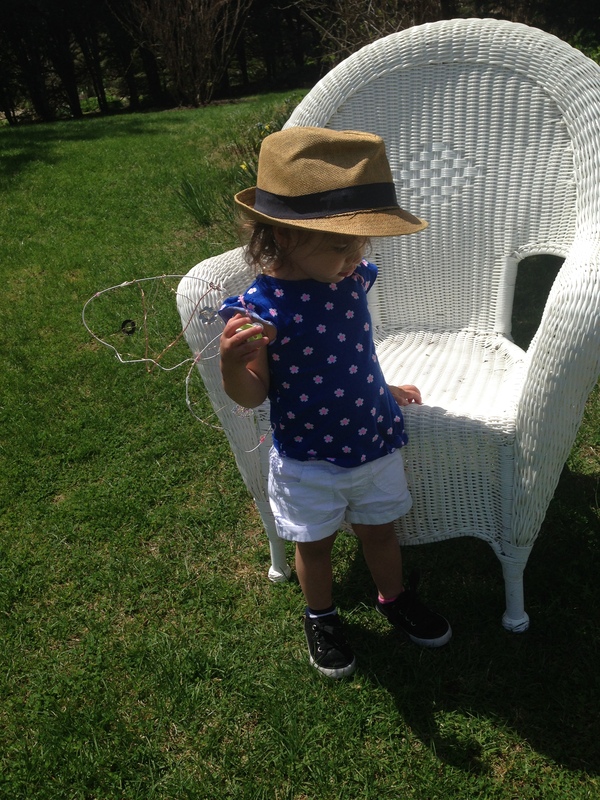 In addition, we also went hunting for faeries at the Bellamay-Ferriday House and Garden in Bethlehem, CT.
P was understandably upset at not finding any faeries, but considering we went in the middle of the day and they were all napping, it was quite understandable. We also packed a picnic and ate outside, and we will be returning next weekend for the official Fairy Festival (May 16th) which includes pony rides and other fun happenings! 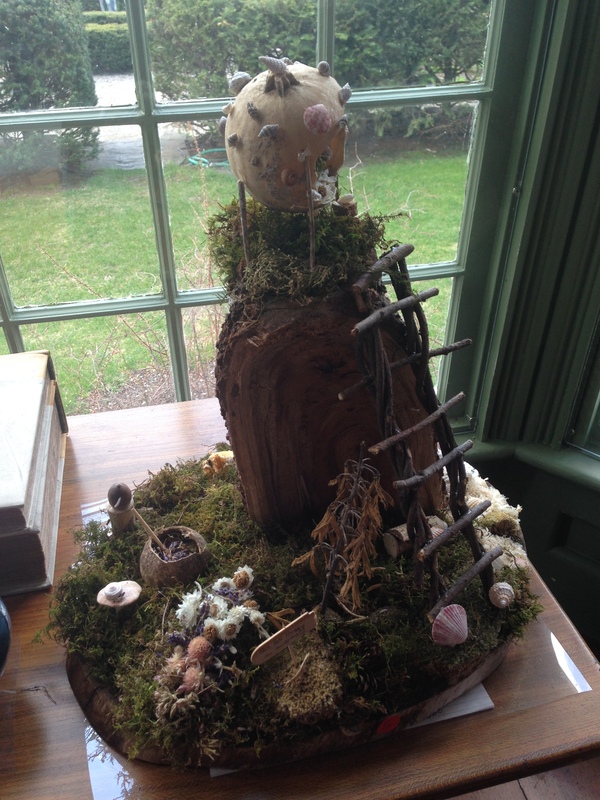 One of the faerie houses on display, which will be judged next weekend with a prize for the best one. Yes, that’s a tiny high chair for the dolly. And P and the dolly are wearing matching tops. It’s all so cute I could barely stand it. P had an awesome time, and the pancakes were nice and fluffy, the staff was friendly – the only thing that was less than desirable was the coffee – next time we go I might smuggle in my own cold brew or French press coz I’m picky when it comes to my coffee. 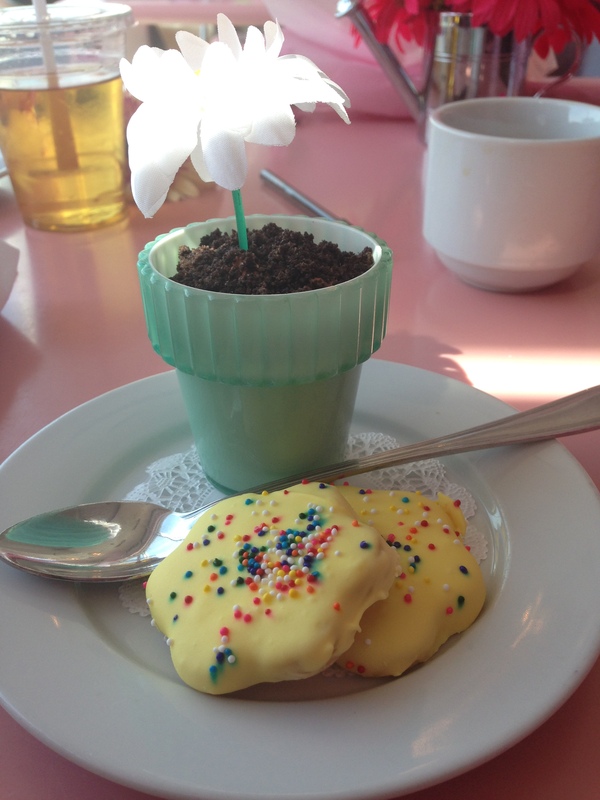 Dessert at the end of the meal – a flower pot full of “dirt” aka chocolate pudding with crumbled cookies and sugar cookies on the side. What an adorable idea for a little girls’ party! I may steal it. 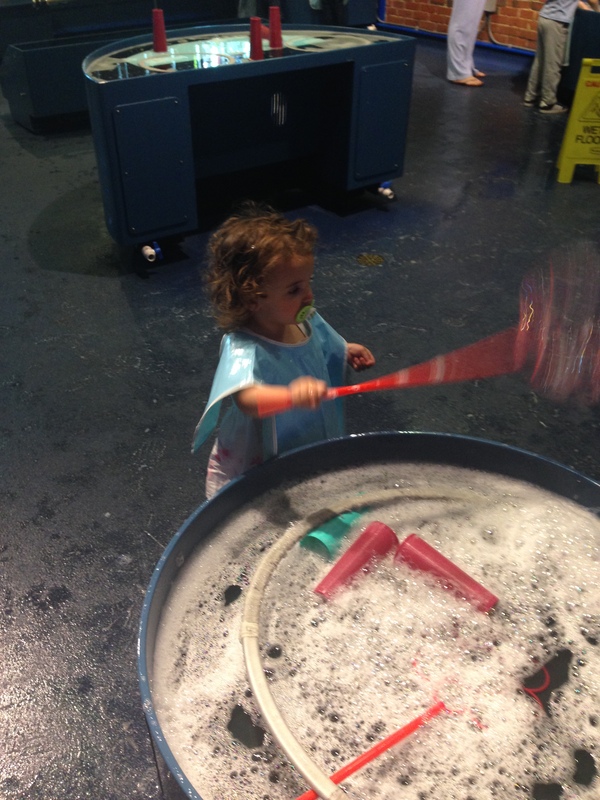 After brunch, we headed up to the Boston’s Children’s Museum, which is five full floors of delightful activities for littles. P has been before, and this trip she was able to enjoy even more activities – which she will continue to grow into as she gets older. As was the construction zone. 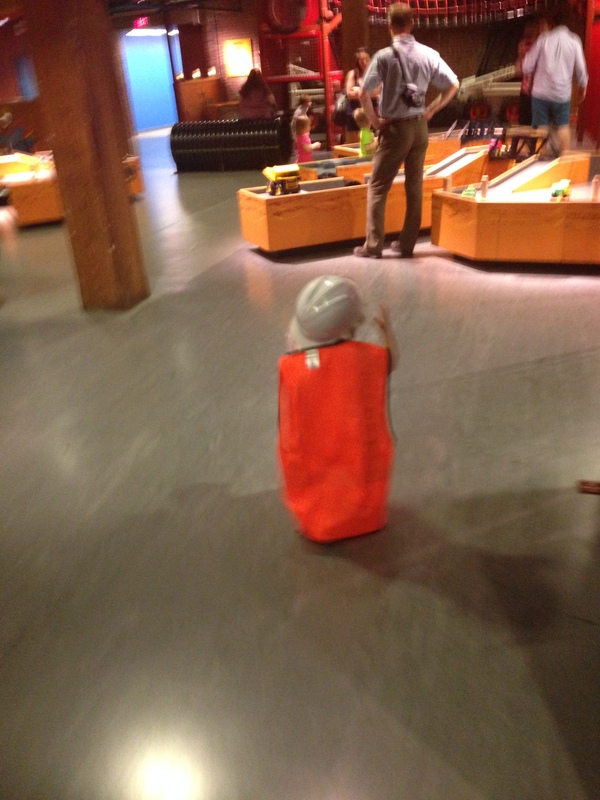 Wearing a hard hat and safety vest because safety is important. I am so blessed to have such a delightful, wonderful little daughter. And I’m excited to see my own Mom in a couple weeks when we head down to Florida together! I hope everyone else had a wonderful Mother’s Day too – and thanks as always for reading! 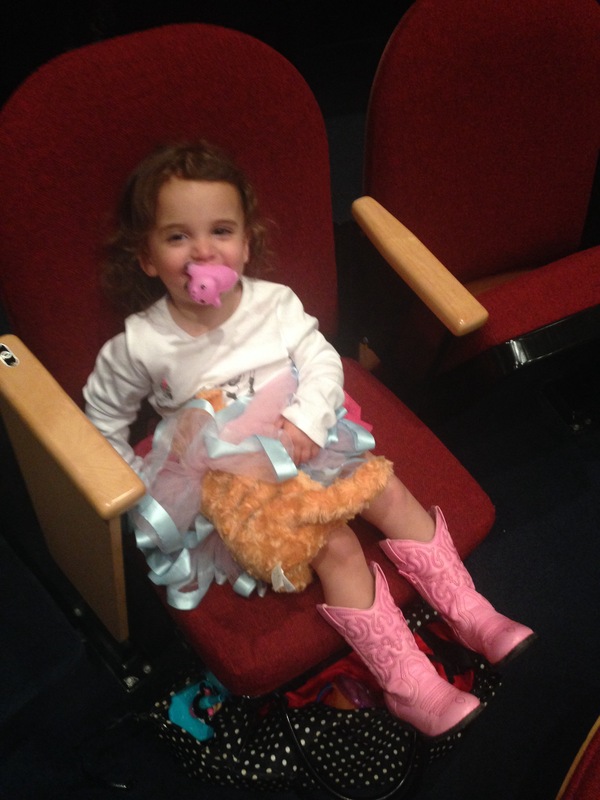 Posted on May 11, 2015 by twittikatPosted in Out and About, Penelope, YaaaaasTagged American Girl Store, Ballet Theater Company, Boston Children's Museum, Mother's Day. 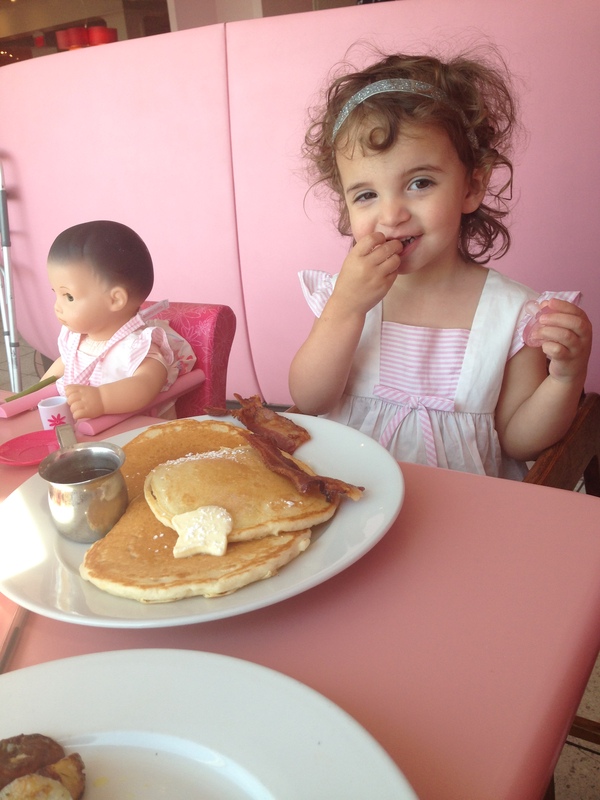 Previous Previous post: Savor CT, Penelope’s Birthday, and some fun upcoming happenings! I love reading this post and love how happy P makes you my dear! So glad she is on your side always. Bummed I wasn’t around when you came to boston but we have the Rose cruise howard! Sorry I didn’t see P much when I visited, she scared me off with her siren song.